From left : Charlie, Malcolm, Jim and Mel. The Real Life Tour was a stripped, back-to-basics tour with the band back to their original quintet and song arrangements back to their recorded form. The gig at the Universal Ampitheatre in LA was broadcast by Westwood One and became the most bootlegged Simple Minds show with several different LPs and CDs appearing. Some of this material was issued officially with the band's show at Glasgow's Barrowlands becoming the most extensively released. After the tour, the band took a well earned break. 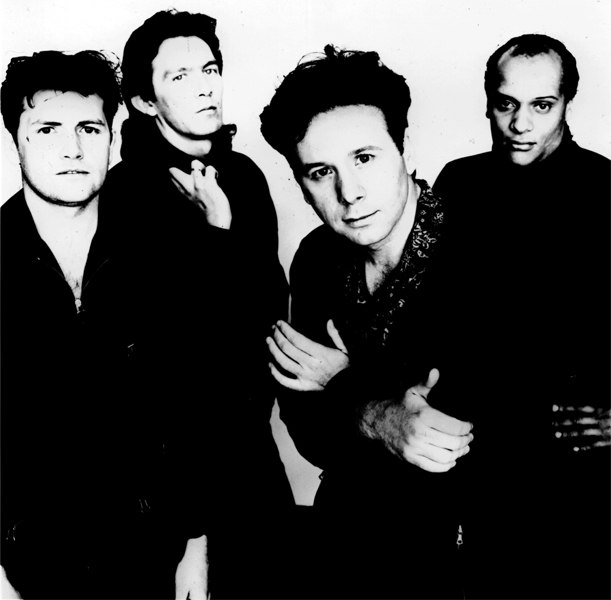 Unfortunately it was a lot longer than anyone predicted and despite a compilation album, nothing appeared from Simple Minds for over two years.